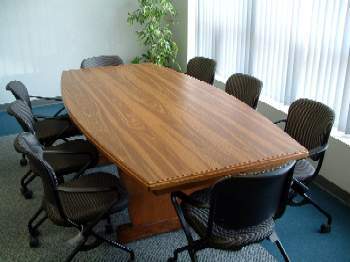 Andy Reid, Jeffrey Lurie and Howie Roseman sit around a cheap wooden conference table. Andy attempts to eat a Dunkin Donuts Big N Toasty breakfast sandwich, but it falls apart as he takes the first bite. 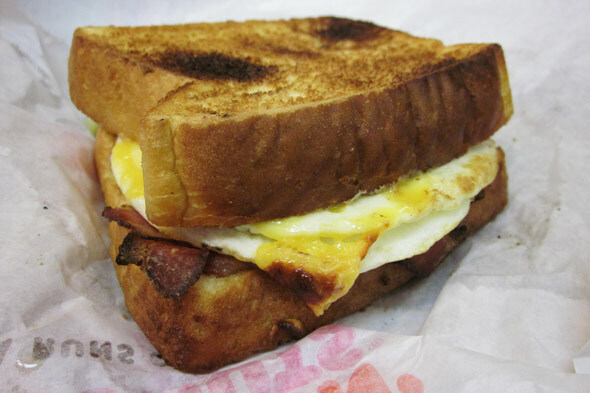 ANDY: I’ve got to do a better job of putting the bacon and egg in a position to succeed. I’m going to work on that. We’re gonna get this thing turned around. He turns the sandwich around. When he takes a bite, the contents fall out the other end again. ROSEMAN (on his cell, conceivably talking to a scout, loudly): …so anyway, there’s this kid at Hofstra, total fastball. Plays at about 210 but I’m certain he can be a backer. SAM. What? No, a SAM. His name’s not Sam, it’s I think it’s actually Will. But I’m not sure, I’ve never seen him play- he tore his ACL and is redshirting. What? No—his name is Will but he’ll play SAM. Or maybe MIKE, it depends. Huh?! No! Will is his name, not Mike-- he’s a—nevermind!! All I want you to know is that he could drop to us! Yeah, yeah. I know! We need to be ready to strike, possibly even trade up. LURIE (under his breath): I hate both of you. ROSEMAN (hanging up cell): What was that, boss? LURIE: Nothing. Let’s get to it, guys. 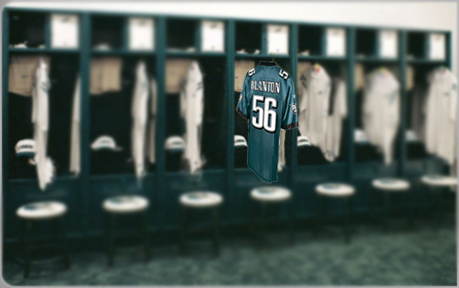 The reason we’re here is I want to just get away from NovaCare and talk about, well, this is tough… our defense. 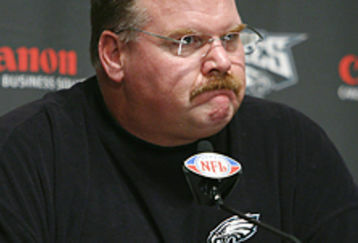 LURIE: --Andy. Andy. Stop. It’s okay--we all make mistakes. Look, we’re here because I think the defense needs some help. In fact, I’m sorry I had to do this. But, for the first time in my tenure I’m pulling rank and calling in a consultant. ROSEMAN: What, like McKinsey? My college buddy Jake works at McKinsey– you want me to call him? He’s great with numbers and stuff. Best flip cup anchor ever, too! 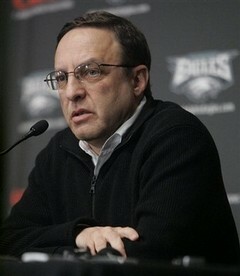 LURIE: What...? No, I’m calling in a consultant--for the defense. Andy Reid inhales a large chunk of egg and bacon and chokes for a moment. A swift punch to the chest from Roseman dislodges the blockage, and Reid’s life is once-again saved. 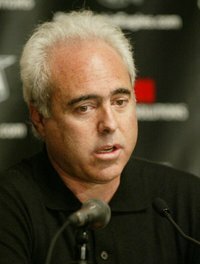 LURIE: Jesus. Are you okay? ANDY: Yeah--*clears throat* *coughs* *clears throat* *coughs* I just gotta *clears throat*do a better job of chewing, that’s my responsibility. 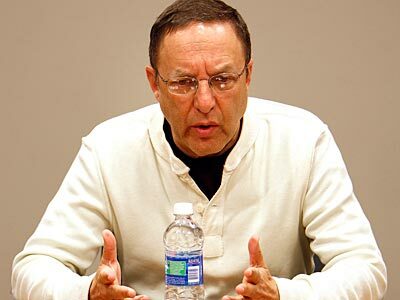 Joe Banner enters the room looking sullen. 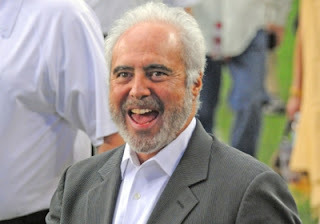 LURIE: What the heck?! What happened? Is he coming? BANNER: *deep, annoyed sigh* Yes. He’s coming… in fact, he’s already here. But there are terms we need to agree to before he’ll do it. LURIE: What kind of terms?! BANNER: *gestures towards Roseman* He wants Howie to sing the Stanford alma mater before he’ll enter. ROSEMAN: WHAT?! Come on, that’s ridic—who is it? Oh. Oh god, you gotta be kidding me. You called him???!!! 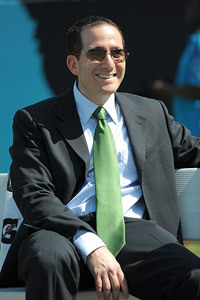 LURIE: *looks Roseman in the eye* Yes. Now just shut up and do it. ROSEMAN: I DON’T EVEN *KNOW* THAT SONG!! Banner turns to walk to his seat, revealing a “KICK ME” sign on his back. Roseman stands, and sings. Each verse trails the audio coming from his phone by a few seconds. 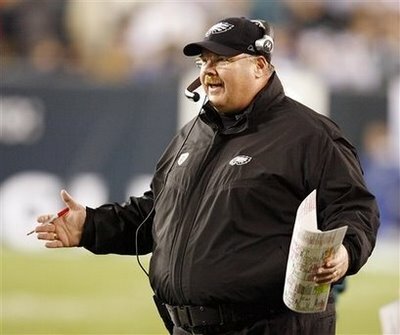 Andy stands and places his black Eagles hat over his heart. 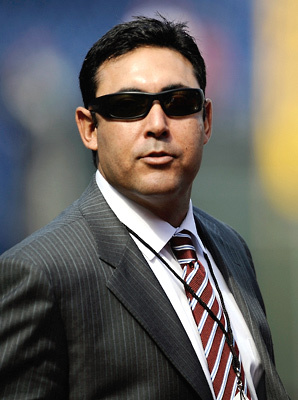 Ruben Amaro Jr. enters the room, crotch-first. ROSEMAN: (insincerely) Hey there, Ruben! Long time no see. LURIE (Ignoring Roseman): …and we really could use a fresh perspective on how to fix things. ROSEMAN: Yeah, sure, why not. I mean, if anyone would know about low-scoring affairs, it’s Ruben! 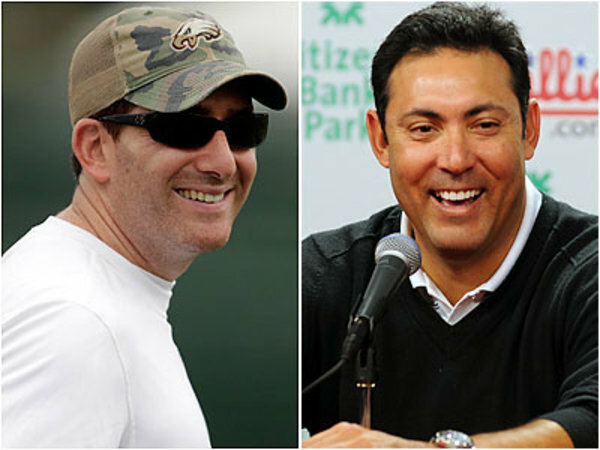 AMARO: *glares at Roseman condescendingly* Shouldn’t you be out scouting 200-pound linebackers from Hofstra? ROSEMAN: Ohhh, that’s cute. What’s it say? Reid shows it to Banner, who spits his Peet’s coffee all over the table. ROSEMAN: LET ME SEE IT! Reid gulps his sack of hash browns as if drinking from a cup and puts his phone into his pocket. Amaro unemotionally gives Roseman the finger, and puts his feet up on the table. 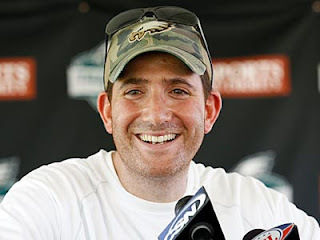 LURIE: Like I said, we just (his phone buzzes, and he involuntarily looks) … OH MY GOSH THAT’S HILARIOUS! 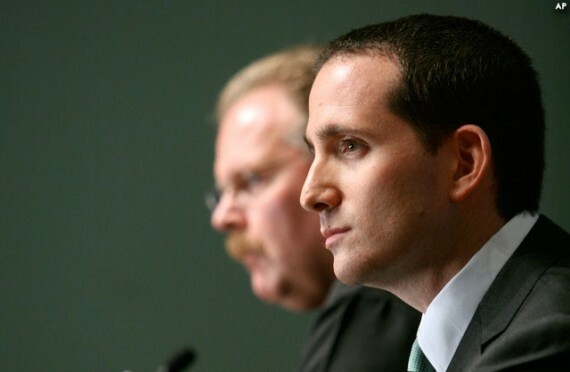 Howie Roseman storms out of the room. As he’s nearing the door, Amaro hits him in the back of the head with three pumpkin munchkins borrowed from Reid’s third course. REID: That’s the best pass I’ve seen all year! AMARO: Okay, that’s enough grab-assin. Let’s get down to business. AMARO: --zip it, King Midas, I don’t have all day. I know what I’m here for. AMARO: Yes. So get your Sharpies out, Big Red, you’re gonna wanna write this down. Amaro stands and cracks his neck. He lays out his game plan. AMARO: Number 1. Hey—Dad of the Year—are you listening? I want to be sure you can hear me over the sounds of your impending cardiac arrest. Reid indicates that he’s focused on The Master. 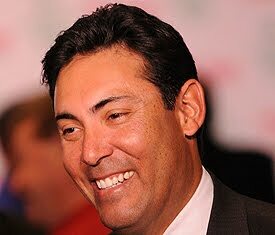 And I’m not just talking about the offensive line coach you--*Amaro has to pause to stifle laughter*-- made your defensive coordinator. I’m talking all the way through. Top through the bottom of this organization, it’s the same thing. Take Rosenfeld, for instance. Isn’t he a lawyer? He is? Yeah, I thought so. So why in the f**k is he choosing players for your billion dollar football franchise? Have some self-respect. AMARO: Exactly. Now we’re getting somewhere. Number two- you have to put your stars in a position to succeed. You assclowns seem to say this every week but never seem to actually do it. I didn’t trade for Hunter Pence so that I could hit him eighth, so why’s your prize free agent from—ugh-- Cal playing a soft zone and covering guys in the slot? AMARO: Yeah, that’s right, I know these things. Three- and this one’s for you, too, dough boy, because Christ knows you’re the only one in this sh*t show that even knows what a football looks like: stop being so cute. 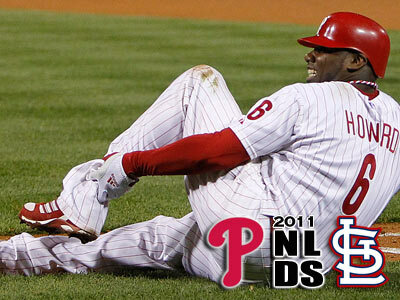 You know why I paid Ryan Howard $125M? Because he bashes the baseball. He might be a moron about it sometimes, but he hits it far. Roy Halladay? Breaks faces. Cliff Lee? He shames you and doesn’t even care. So my point here is that maybe the guys in the middle of your defense need to be able to tackle other human beings? It’s a thought. LURIE: I like this, I really do. But what do we do now? AMARO: You’re in luck, I’ve got a plan, and a proposal. AMARO: Shut your hole, Poindexter. Now, I need to be going—in case you haven’t heard I’ve got a baseball team to run, deals to negotiate, things to see, people to do. I’ll let you guys work with my man Proefrock to handle the particulars. 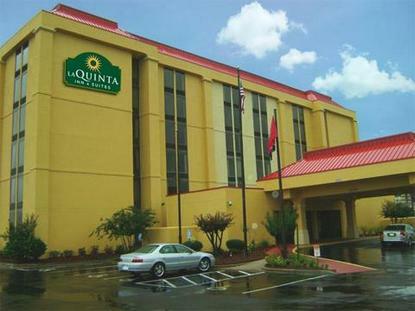 This is going to cost you a few sheckles, but… desperate times, right? LURIE: Wait—you say this is going to fix everything? 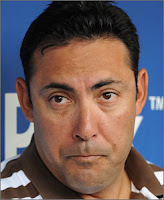 AMARO: Yeah, sure, definitely. Whatever. I guarantee this last move will at least help put the wide back in your nine, if you get what I’m saying. Scott Proefrock suddenly appears from behind a white board easel in the corner of the room. 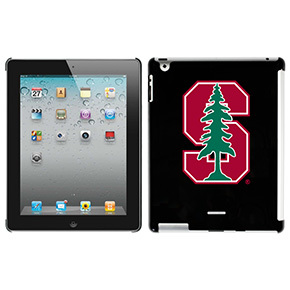 He’s holding an iPad 2 with a Stanford sleeve, a Kindle Fire, and a large stack of papers held together with a binder clip. AMARO: I must bid you adieu, gentleman. My secretary here will take care of the details. Tell Juan I said what’s up. Or adios, if you prefer. Whatever, I don’t care. Just implement my plan and try not to f**k it up, okay? Amaro walks to the door and stands silently, looking annoyed. He clears his throat, waiting for someone to open the door for him. Banner rises begrudgingly to see the Phillies GM out of the room. When he passes Amaro, Ruben kicks him square in the behind. As Amaro exits, he passes Roseman, who is sitting against the wall in the garishly carpeted hallway with his head in his hands. AMARO: Nice look, Igby. Don’t worry, I cleaned up the mess you made right quick. Trust me, you’re gonna love this. You always said you like those fastballs, huh? 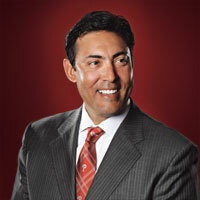 Amaro smirks and sways his way slowly, crotch first, towards the lobby. Interior, visiting locker room, FedEx Field. Three hours before kickoff. The camera slowly zooms through the room, until it settles still, and a single locker comes into focus. The Master has done it again. Hey—Dad of the Year—are you listening? Is there any way we could take up a collection to bribe a member of the press to address Andy this way at his next press conference? We could probably raise more than any newspaper pays. thank you. this is the first time I've laughed since Friday night.